This series contains over 20 activities that map directly to the DfES Primary Strategy Letters and Sounds document. Please note: ChooseIt! 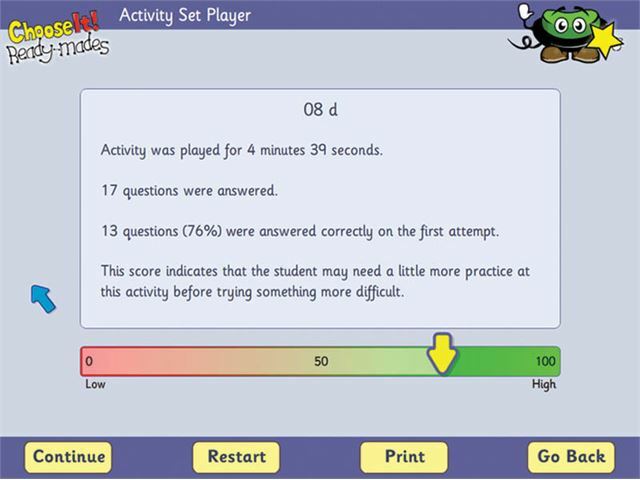 Ready-Mades Literacy Series software is downloadable software delivered via email within 2-3 days of receipt of order. Each activity has a graded sequence of 20 to 40 simply presented multiple-choice questions, which are structured using a positive reinforcement strategy. 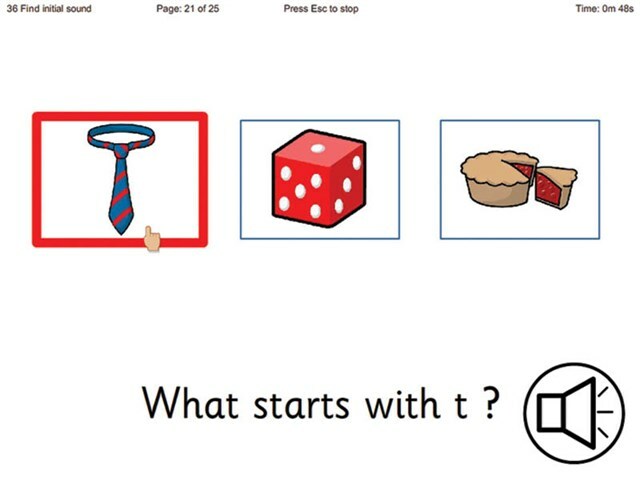 Correct answers result in a short animated sequence with music and spoken reinforcement, while full speech support and switch access options provide access to learning by almost all students. The programs include simple performance reporting, so you can record student progress. Designed by a teacher with over 20 years’ experience in primary and special schools, the series is ideal for pupils at the Foundation Stage and KS1 as well as those with special needs who need extra practice. Provides practice in recognising, hearing, matching, reading and spelling everyday words for colour, number, days of the week, months and seasons. Over 550 individual pages of activities. 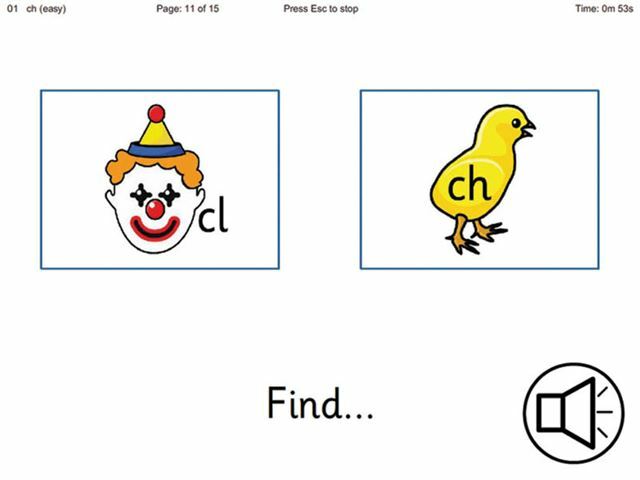 Multiple choice activities to practice recognition of tricky high frequency words that are so difficult to learn to read and spell. Covers Reception and Years 1 and 2 word lists. Over 600 pages of activities. Covers the sounds of the 26 letters, both individually spoken and spoken at the beginning of words. There is one activity for each letter, with five extra activities for each of the long vowel sounds. A choice of round-up activities includes VC and CVC blending. No grapheme recognition is required, although graphemes are introduced passively. This looks at the matching and recognition of written letters, a-z. 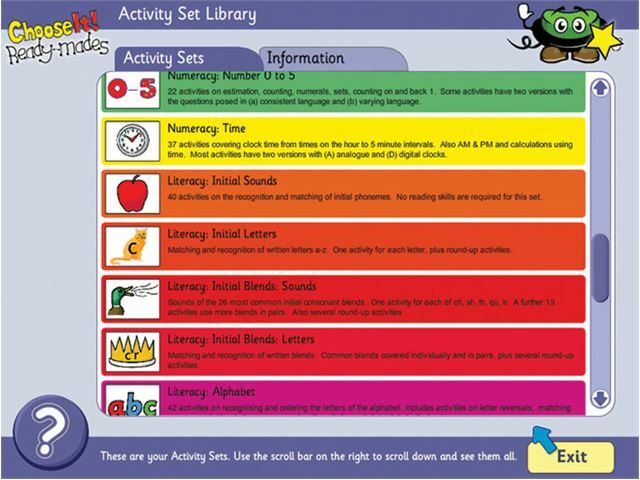 There is one activity for each letter as well as a selection of round-up activities. This covers the sounds of the 26 most common initial consonant blends. One activity for each of ch, sh, th, qu and tr. A further 13 activities introduce more blends in pairs (eg: for “bl” and “cl” together). Also includes fun round-up activities. Grapheme recognition is not required, although graphemes are introduced passively. Covers matching and recognition of written blends. Common blends are covered, both individually and in pairs. With several motivating round-up activities. Practise matching and identifying environmental sounds, vocal utterances, musical instruments, music styles, nursery rhymes, simple instructions, sequencing sounds, counting syllables, rhyming and alliteration. Covers most of Phase 1 of the Letters and Sounds document. Over 40 activities focus on learning the names of the 26 letters (rather than their phonic sounds) and on dictionary skills. Includes distinguishing letters from other symbols through to sorting whole words alphabetically. Also letter reversals, matching upper and lowercase and the British Sign Language alphabet. Should these activities content not quite fit your specific needs, you can create your own using ChooseIt! Maker 3. ChooseIt! Maker 3 is very easy to use and allows you to change the text, pictures, speech or music in an activity. Progress is easy to see and well paced. Feedback is clear and informative. It has clear links to the literacy curriculum. The pupil screens are clear and uncluttered. The ability to configure was good and easy. The consistency of the program means that students can use it independently. It would complement other activities in the classroom and would fit into a planned programme. It represents great value for the classroom environment, it’s user-friendly for the child, and could be used independently. It has clear learning intentions that build progress. "Wow - they are brilliant for all ages and abilities and we use them throughout our 3-19 age range. Set out in a clear chronological way, they are simple to use and my pupils love the multiple choice activities and music reward at the end. What more can I say? After all these years in the job these are a teacher’s dream!!!" "ChooseIt! Ready-mades are a fun, bright, motivating learning tool that are easy to use, and suitable for all ages. A real time saver - all the activities you plan on making but never get round to doing - a must for all busy classrooms. These are a fantastic way of introducing children to essential literacy and numeracy skills that will prepare them for work in Key Stage 1." "Huan has enjoyed more independence by using his computer skills to access Numeracy. Literacy and Science activities, which have reinforced his learning with colour, shape (2D and 3D) everyday objects in school and in the home, the environment and some of the class topics."